Have you ever wondered what in the world we’re singing when we repeat “Noel” a countless number of times around Christmas? I sure have and I thought I knew. I was close, but there’s more to the story. According to the dictionary, it just means the Christmas season. It comes from both French and Latin words that mean birth. It is related to nativity in the same way. In the Middle Ages, so many English and French Christmas carols began with Nowell or Noel that noel (lower case) came to mean a Christmas song. Noel also carries with it the meaning of proclamation or “shout of joy” as in the song “The First Noel.” In this song it could carry both meanings as the announcement of the angel as well as the birth. 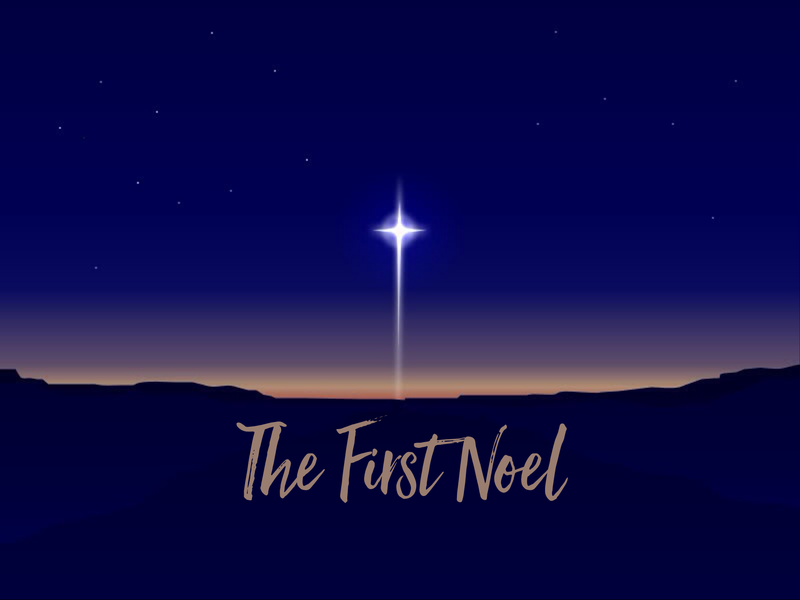 “The First Noel” first showed up in print in 1823 in a book Carols Ancient and Modern compiled by William Sandys. The music is a traditional English folk melody. For you other music nerds, like me, the song has a unusual form for such melodies. It is two identical phrases followed by a refrain that is merely a variation of the original phrase. It’s also a bit different in that all three phrases end on the 3rd of the scale rather than the tonic. OK, the rest of you can wake up now. The text of the song is a bit confusing and not quite accurate. The first verse refers to the announcement to the shepherds. Then the second verse says, “They looked up and saw a star, Shining in the East beyond them far.” Two problems. The shepherds didn’t follow the star. The magi did. Also, it wouldn’t have been shining in the East. The magi were from the East and they saw the star in the West and followed it. Just saying. Later it refers to three wise men. Oops! There were three gifts, but we have no clue how many wise men there were. The song is redeemed by its summons to us all in the last verse and the refrain is stirring enough by itself. The mixture of the story of the shepherds and the magi is prevalent today in everything from pictures to nativity scenes. They both were events around the birth of Jesus. But, sorry folks, the magi didn’t make it to the manger. That’s another story in itself and one worth telling. Maybe I will. Stay tuned. For a beautiful rendition of this song, I have to give it to the Mormon Tabernacle Choir. You can listen to it here.